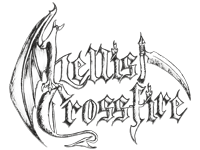 HELLISH CROSSFIRE return to Neustadt! RDD regulars know they can only expect a show of relentless Thrash. This time they will slash your faces also with new material of their upcoming 3rd album! 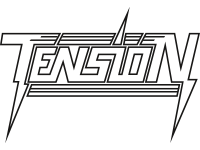 Secondly we announce the appearance of Tension officially. If you got hold of one of our flyers in the real world yet, you may have already spottet the racy logo on the right. Till date only to see live within 50km of their hometown Leipzig this band delivers excellent Heavy Metal! Stay tuned as the recordings of their music will be unleashed in the next days. Now hands off your pants and spread the word! Raging Death Date will come to an end! Join the nemesis party!